Volume-building Conditioner | Relaxed. Transitioning. Natural. Beautiful. 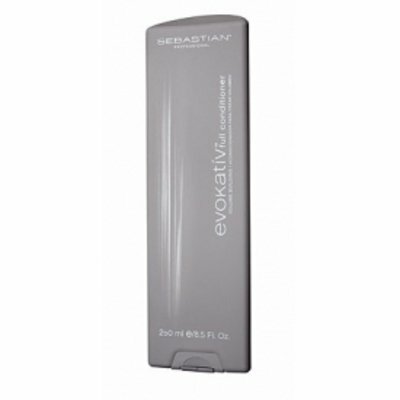 Sebastian’s Evokativ Full Volume-building Conditioner claims to bring natural fullness and body to fine hair. This conditioner contains natural-based silica to create surface volume, and panthenol to moisturize and protect the hair. This color-safe formula restores hair’s natural pH balance and is delicate enough for everyday use. On first use, I immediately noticed the energizing fragrance of jasmine and ylang ylang. Whenever I use this conditioner, I probably spend half of my time in the shower with the conditioner bottle to my nose. It smells THAT good! The conditioner is MEGA thick, so, a little goes a long way. I love how it coats all of my coily strands. It is so moisturizing, I almost never want to rinse it out. I noticed more of the volume-building effects on my relaxed/transitioning hair. My natural hair? Not so much! Probably because I don’t have the same limp hair problems that I did when my hair was relaxed. LOL! Although this conditioner retails for $26.00, I found it at my local Marshalls for only $9.00! Needless to say, I purchased two! I’ve used this conditioner for about six or seven months now, and I love it!